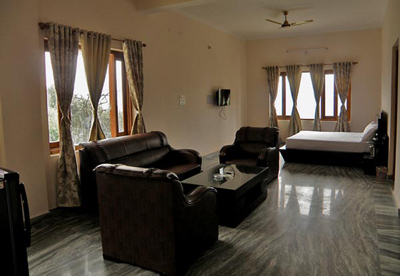 Raj Rajeshwari Resort has been built in magnificent style and excellent architect way. 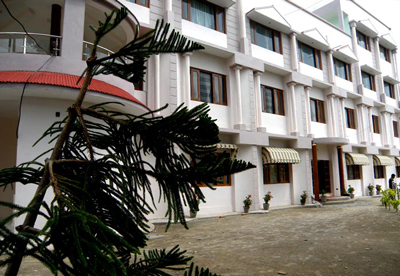 All classy and spectacular rooms like Club class Suite, Family Executive, Executive and Deluxe are lavishly furnished with having spacious marble floor with double bedded and family room attached bath of 24-hours hot and cold water by elegant western toilet. 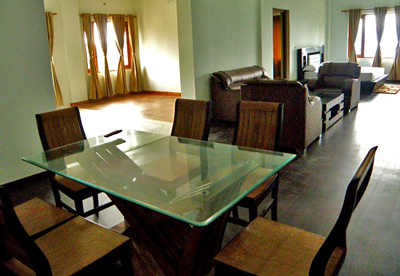 All rooms are connected with LCD TV. and EPABX intercom facility having a superb balcony with panoramic view of wide range hills and Shakti Pith Banari Devi Temple. Raj-Rajeshwari have a beautiful sumptuous restaurant where tourist can have exclusively tasty Indian, Cuisine, Continental, European and Chinese delicious food. Raj-Rajeshewari have own car parking along a spectacular spacious lawns with beautiful blooming garden to attract the tourist every time.